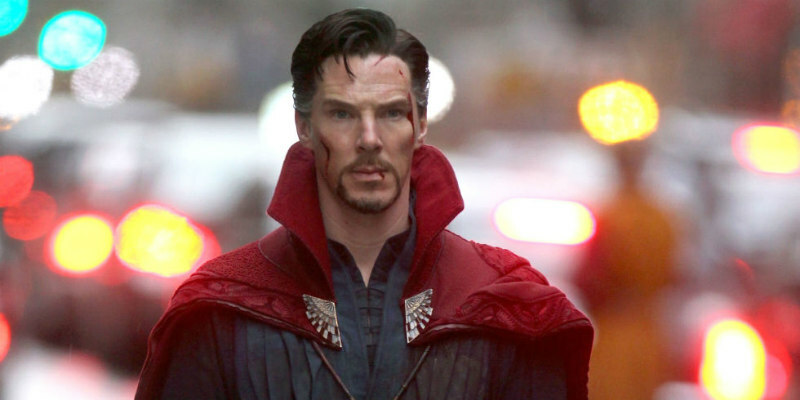 How Big Is Doctor Strange Going To Be? What impact will Marvel's latest have in a weak year for Hollywood? Marvel has gone pretty far with its core characters and right about now we’re starting to get into some superheroes that might be a little bit lesser known to all but the most avid comic book fans. 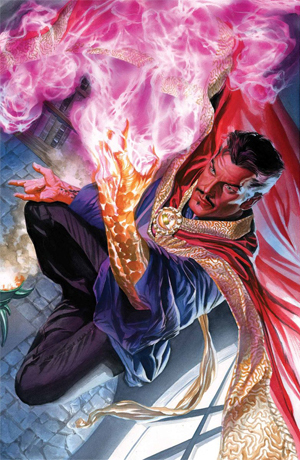 The clearest example is Doctor Strange, who’s set to debut in the form of Benedict Cumberbatch in this winter’s Doctor Strange. It will be the studio’s first release since the crazily successful Captain America: Civil War and it’s fair to say that while people don’t quite know what they’re getting into, the expectations are high nonetheless. The recent trailer is, frankly, wild. Filled with chilling narration from Tilda Swinton and packed with incredible scenery, this looks to be a Marvel film that has borrowed from the mind-bending power of Christopher Nolan. Scenes of Strange traveling to mountain retreats to learn secret arts remind one of Christian Bale’s journey in Batman Begins, and shots of warped reality and bending cities look to be straight out of Inception. That’s not to suggest they’re ripping anything off, but it is a decidedly different look for a Marvel project, and is likely only deepening the sense of intrigue surrounding this mysterious character. But how big will Strange actually be for modern Marvel entertainment? In terms of the character himself, there have been a lot of whispers that the character might introduce an element of horror to the MCU. This rumour comes largely from the fact that Scott Derrickson directed the project, and his past works include the likes of Sinister and Deliver Us From Evil. The director could depart from his ordinary style, but those involved with the film haven’t been shy about suggesting that it will have a different look and feel to it than the average superhero movie. It’s doubtful that it’s a full-on scare flick, but Strange is going to bring some creepiness into the picture, and it’s a good bet that this will be a more unsettling movie than your average Avengers feature. It will be interesting to see if the character resonates beyond the film, and becomes a popular favourite among modern fans. Marvel’s vast gaming presence will be worth keeping an eye on in this regard, as Strange has already appeared in a few mobile games but hasn’t gained the kind of broad presence of some more mainstream characters. The selection of games based on pop culture and fiction at one online bingo platform may provide the biggest hint that the character could soon have a larger presence. With slots and jackpots involving the likes of Iron Man and other Avengers, there’s also a “Magician” game in which the lead animated character looks suspiciously like Strange. A similar online game exists with a Black Widow character, despite not having the Marvel license attached, so it appears as if sites like this one might be setting the stage for additional Marvel character rollouts in the near future. There’s also the fact that Marvel is reportedly working on some major console titles, but we don’t know what they’re going to be about just yet. If Doctor Strange works, they could ride the wave of success to a major video game platform. An increased gaming presence could well speak to the immediate boost in popularity that the character will receive from this year’s film. But the most important measure of how big the character can become will be what kind of role he winds up with in future MCU projects. Cumberbatch isn’t actually confirmed for any further work at this stage, although he was mentioned in a conversation about Avengers: Infinity War, and it seems inevitable that he’ll wind up in that particular movie. Honestly, at this stage, the MCU’s most mysterious character is still pretty mysterious. The film comes out in a matter of months and we still know very little about how the character will be depicted or what the Marvel masterminds’ plans for him are. But it should be fun to find out.